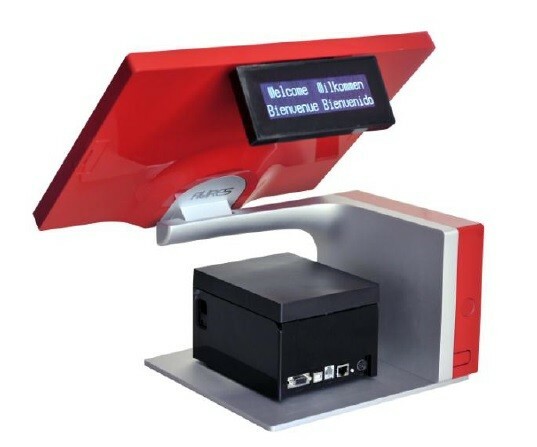 SANGO - All-in-one space saving POS Terminal. Base CPU: INTEL Cedar View D2550. Fanless. 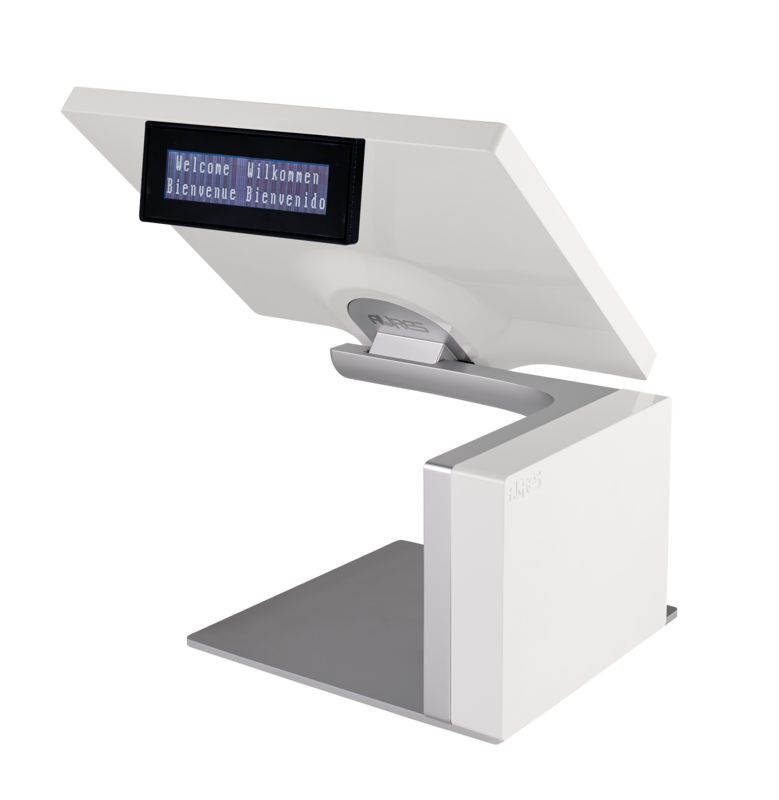 AURES SANGO POS Terminal - space saving uber-modern POS Terminal with unique design. 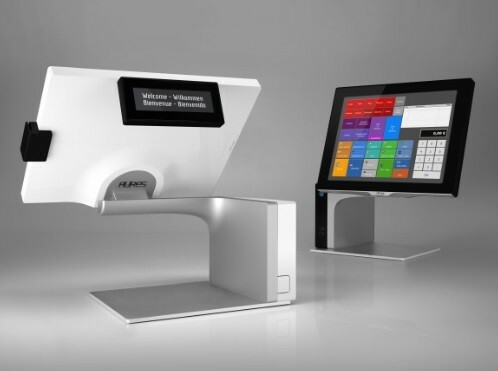 Reduced to a few essential design elements, the clean open lines of the sango are emblematic of a complete and efficient EPOS (flat, fully-tilting, multi-touch LED-technology touch screen with edgeless, capacitive projected technology). 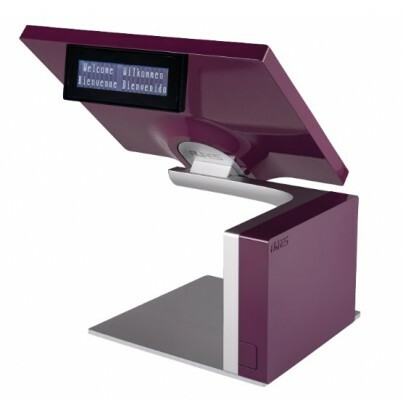 With no intrusive base, stand or foot, unlike other EPOS systems on the market, sango soars effortlessly, as if weightless, offering and revealing a space traditionally occupied by the central unit and motherboard; elegantly attached and suspended from its offset aluminium arm, the system's real exo-skeleton and support for its technological core (CPU). Sango combines minimalist aesthetics and ease-of-use (a dedicated till drawer can be housed under the screen) – as well as lower power consumption. Stable and rigid, its thin metal base (a natural extension of the slender and beautifully-designed arm) acts as a heat sink. 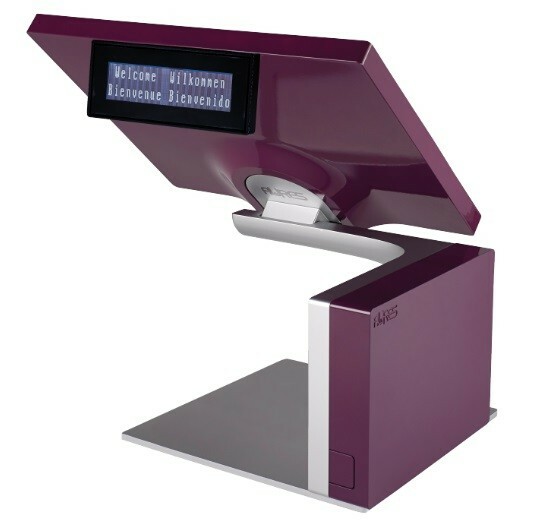 It’s glossy polycarbonate finish, featuring a mix & match range of seven modular colours (White, Black, Red, Blue, Orange, Grey and Cassis) takes AURES’ colour revolution, launched in 2005 with the Odyssé, to new heights – adding the finishing touch to retailers’ visual identity, right the way through to the till point.